This mod is a port of the original Battlefield Heroes video game which was shut down during the summer and is no longer playable. I DO NOT HAVE BATTLEFIELD 1942 BUT STILL WANT TO PLAY.. I DON'T SEE THE SERVER IN THE BROWSER, HOW CAN I JOIN? 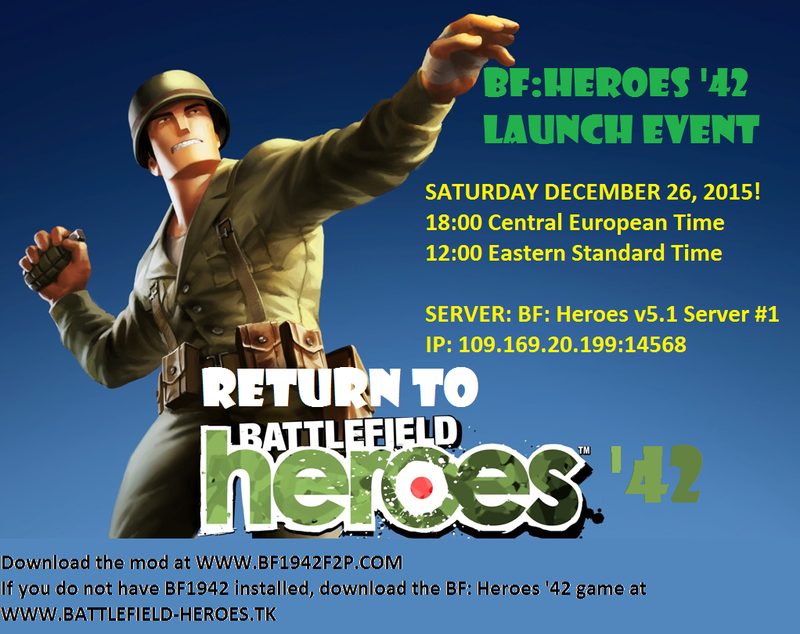 -You can download our multiplayer patch at http://WWW.BF1942F2P.COM which will show our server in the list..
Edit by Tuesday: Removed the link. Doom27 should really do something about his public photobucket album.